Johan Vendrig brings more than 20 years of working in the health sector, including chief operating officer. Johan Vendrig is parlaying his nearly two-year stint as chief operating officer, into his new role as CIO at Orion Health. “The chief information officer is a very close ally to the chief operating officer in any organisation because process and information are linked so close together,” says Vendrig, who was chief operating officer of HSA Global prior to his current role. “A lot of what I will be doing here will be built on that [relationship],” says Vendrig, who joined Orion Health last week. Health is a very exciting area to work in, he says, and the role allows him to continue developing his general management and business skills. Vendrig joined Orion Health after a sabbatical of more than six months. Before HSA Global, he was general manager information services at healthAlliance, the shared services organisation owned by the four northern region district health boards. 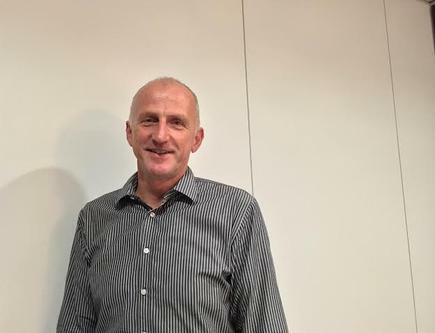 Vendrig joined healthAlliance after nearly five years as CIO of the Auckland District Health Board – one of the owners of the shared services organisation. His involvement in IT leadership roles in health began more than 20 years ago, in his native Netherlands, where he also completed a paper on health information systems at the Maastricht University. Vendrig reports to Graeme Wilson, chief operating officer at Orion Health. The CIO role involves working across the organisation, and with many different groups. It is also a global role, managing information systems across their offices in 27 countries. “The role for me was how do you get a commercial organisation to the next level, with respect to things like knowledge management, enterprise systems, global growth and collaboration? How do we bring our systems together from a customer point of view? “We have a lot of very smart IT people, and one of the opportunities I have is to bring all of these people together in a kind of virtual team umbrella,” he says. The CIO portfolio, however, has changed from that of his predecessor, David Kennedy, who left in May. Kennedy, now a CIO/CISO management consultant, also had the security portfolio. This is now headed by Francois Marais. Vendrig points out the opportunity for technology in healthcare is huge. Ian McCrae, Orion Health CEO, has been talking about precision medicine, as “the next iteration in healthcare”, says Vendrig. McCrae founded Orion Health in 1993. The company now has more than 1200 employees across the globe, and is ranked 9th in the 2015 TIN100, which ranks New Zealand technology companies. It is also included in this year’s CIO100, the annual report on the top ICT using organisations in New Zealand. Where there are lots of information around population and health, the next phase is looking at factors like genomes and tailor the care specifically for the person’s needs, says Vendrig. “The way Orion Health is looking at it is very interesting,” he says. “It is bringing some of the big data stuff from other industries and really start to look at how can we build medical repositories that have all that really rich information and give the clinician information that is specific to that individual, and combining that with the more generic pathway of treatment. He relates this concept to the research his son is doing for his electrical engineering degree at AUT, on how farmers are using unmanned aerial vehicles or drones. Farmers are starting to use drones that take aerial photos of the field. Based on these photos, the farmers spray areas that are affected by the disease, rather than having a helicopter spray the whole field. “You can see those technologies creating efficiencies by being more targeted,” he says. This concept applies in healthcare as well, he says. You can analyse people and focus those treatments on the people that are the most susceptible to getting those diseases rather than just giving everybody the same [treatment].